My husband and I have been on the edge of our seats for the movie Prometheus since we saw our first teaser trailer months ago. In preparation, I really wanted to come up with a neato shirt design that I could screen print and wear to the premiere. With that said, I don’t normally finish any bigs projects I set out to do, but I made sure this was the exception. 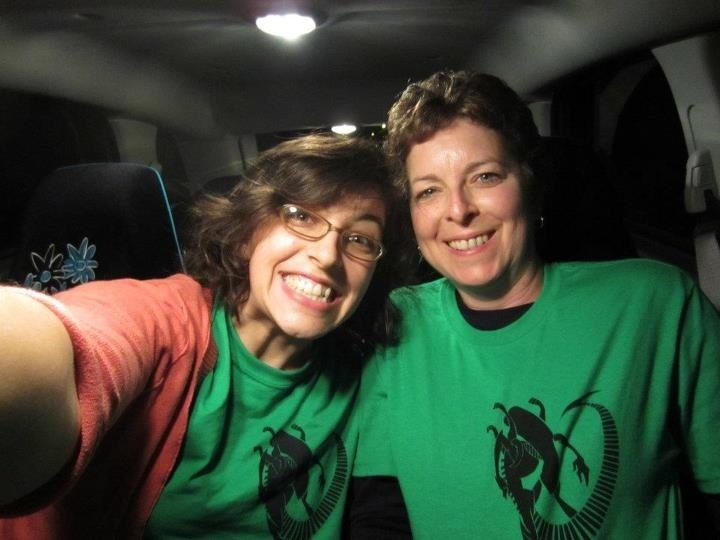 The result was a few orders and matching mother-daughter fan shirts to wear at the opening at midnight! As for the movie, I enjoyed it a lot, but it did contain a lot of holes and left a lot of questions. Nothing that I’m going to go. But I did want to share the shirts in action! Alright! 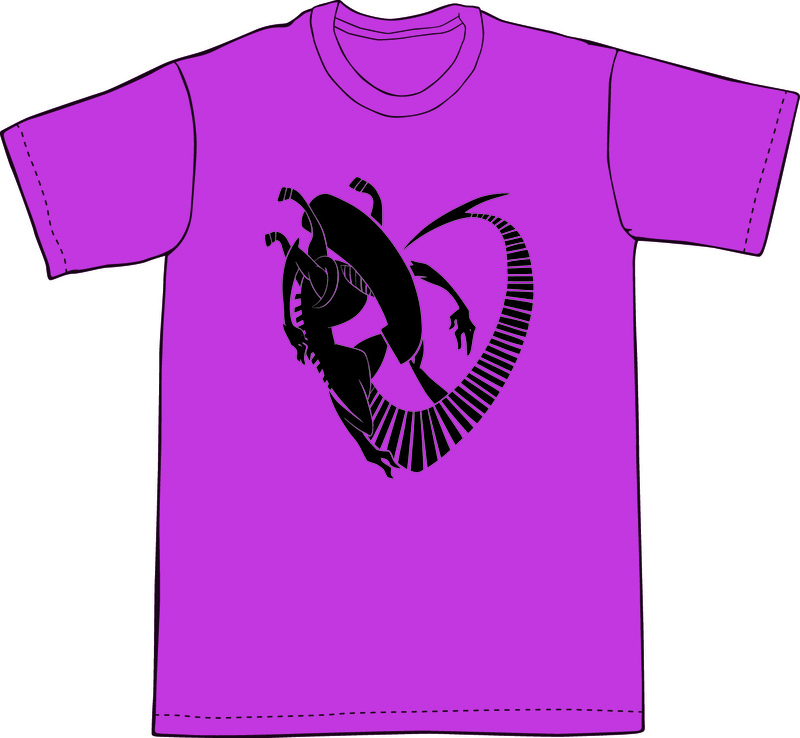 The alien has been tweaked and smoothed to perfection and then placed on some Threadless T-shirt templates just to get an idea for color and placement. 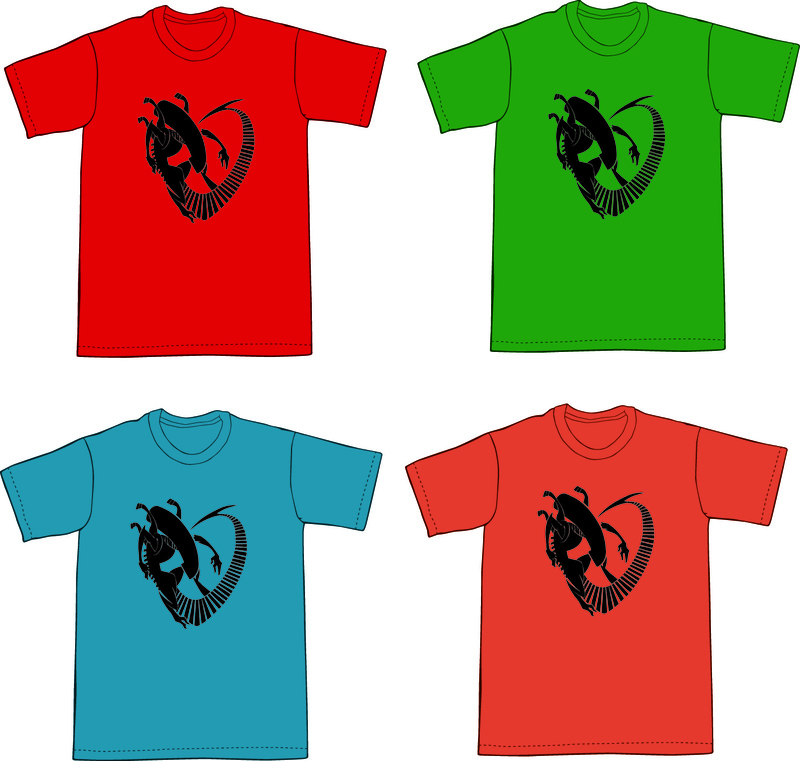 Here are a few of my favorite colors i’m considering to screen print on. The plan is to cut my own screen and do the shirts myself. Its only one color and pretty straightforward, so the work won’t be too bad. Plus my husband is a whiz at that kind of stuff, so no worries. Input on the color choice would be awesome. 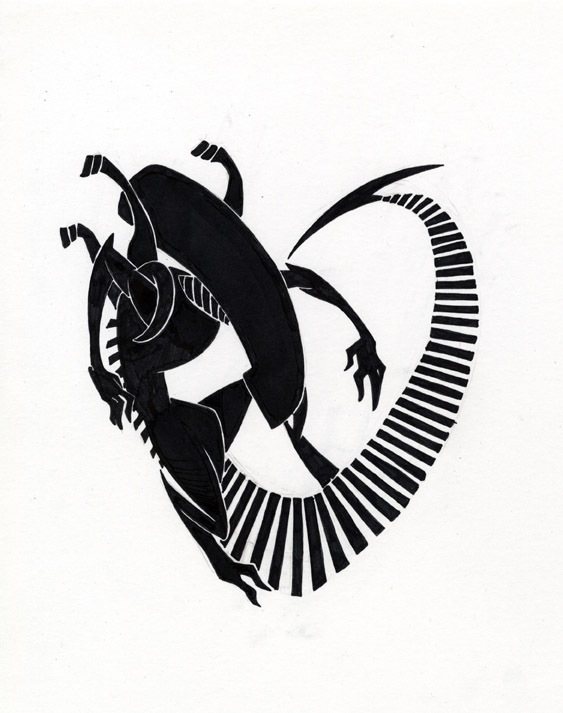 On a lighter note, i’m working on revamping my alien design for a teeshirt. I don’t know why i’m obsessed with making them, i just want to. Don’t judge me.